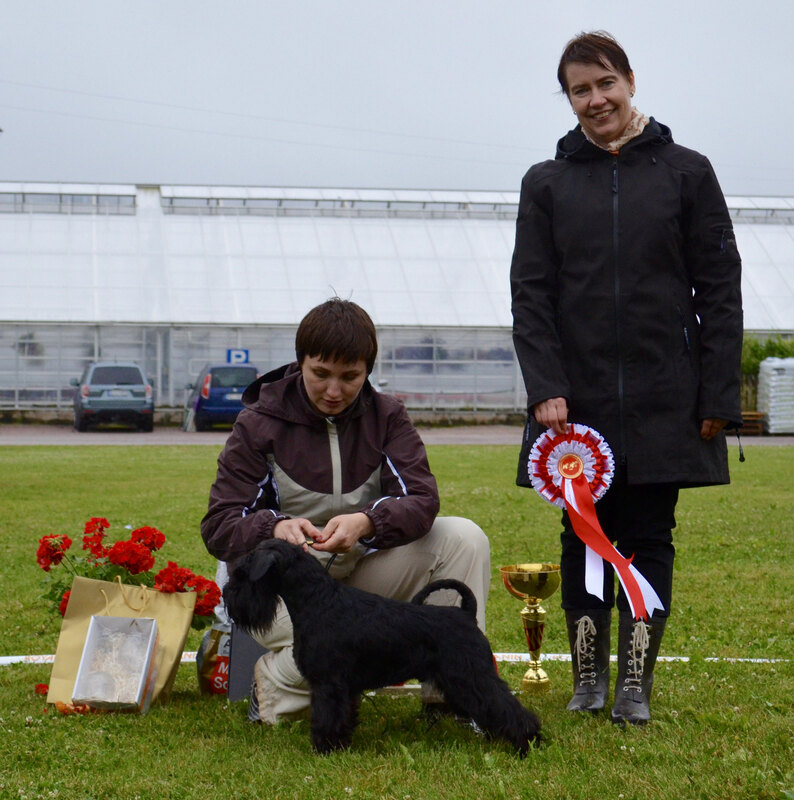 VERY rainy day on Main Specialty Miniature Schnauzer show in Espoo. Judge Päivi Takkinen, 32 black miniature schnauzer entries. Despite the rain our dogs performed perfectly. Our youngster Raven's Tot Morning News (Nikita) did more than we expected. He went all the way from junior class to Best Male, getting CAC! Also he was Best Junior and Best In Show Junior!!! Our dear Sandra (Raven's Tot Keen Sensation) was second in Champion class today. I want to thank my dear friends for wonderful company, atmosphere was warm, in contrast with weather.